Some of you may be familiar with Josh Marinacci, who used to be employed by HP as part of the webOS Developer Relations crew. In his tenure with HP he had his hands in a lot of great things and really evangelized webOS as a platform. Ultimatiely, he ended up leaving HP back in February and found his way to Nokia in May. Before you all start to cry foul play, he's not working in the Windows Phone division so he's not exactly "sleeping with the enemy". He's a recent father and after many years of burning the candle at both ends he just needed a job with a slower pace so that he may spend more time with his family. With that said he recently put up a post on his personal blog in response to yesterday's in depth artcle of the rise and fall of webOS by Chris Zeigler on The Verge. In his blog post he has some rather interesting corrections and additions to the epic tale of webOS from an insiders perspective. We'd love to tell you all about it however some things are best told from their source. It's a pretty good read if your'e looking for a little more insight as to what went down behind the scenes. Josh said to think of it as a "directors commentary if the director was forced to sit in the back and watch through a 3 inch screen", which we would have to say is a pretty accurate statement. Perhaps the most interesting revelation in Josh's post was that the HP TouchPad was originally supposed to be an Android tablet. Whether or not this tablet was ever meant to see the light of day will never be known but once HP aquired Palm and webOS it was an obvious choice to put their own OS on the now defunct tablet. This shouldn't really be too much of a surprise since there were several TouchPads rumored to have shipped with Android installed instead of webOS. Quite ironically after webOS hardware was canceled Android ended up making its way back onto the TouchPad anyhow thanks to the great work from the CyanogenMod team. 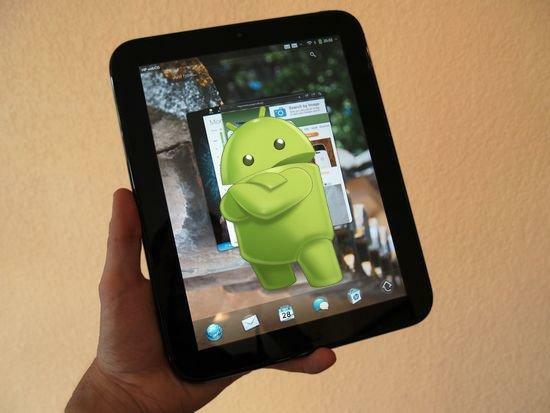 Even more ironic than that is HP had once planned to create one of many "me too tablets" if they had in fact pushed an Android tablet to the market. Then they scrapped that plan in favor of being original and making the TouchPad with their newly aquired OS webOS. Now they will be making "me too tablets" in the soon to be sea of Windows 8 tablets. Life is sometimes funny like that! Maybe if we are lucky they will release some type of dual booted Windows 8/webOS tablet in the future but we doubt that will ever happen.